Oval Cut diamond was created by Lazare Kaplan in the 1960's. These luminous gems are different from your day to day diamond shapes as they combine the sparkle of the elongated shape of a marquise cut with the round cut. The shape is cut into a perfectly symmetrical design. Oval cut diamonds possess the fire and brilliance of a round cut diamond which makes it an ideal choice for individuals that like round diamonds, but want something distinct. Similar to other fancy diamond shapes, preferences of an oval cut diamond also vary by length to width ratios of the cut. It is considered a classic oval cut diamond if its length to width ratio is 1.50 or in the approximate range of 1.36-1.60. This range makes the outline stretched out enough to be different from a round cut. If the elongation ends up too long, the cut will look similar to a marquise. The ‘bow-tie effect’ is present in almost all oval, marquis and pear cut diamonds. Since it is an important factor in analyzing an oval cut diamond, please refer to our post on the effect of bow-tie on fancy cut diamonds for more information. In our opinion, a small ‘bow-tie effect’ is a plus for an oval cut diamond; likewise, please avoid a large ‘bow-tie effect’ because it indicates the poor cut of the diamond. 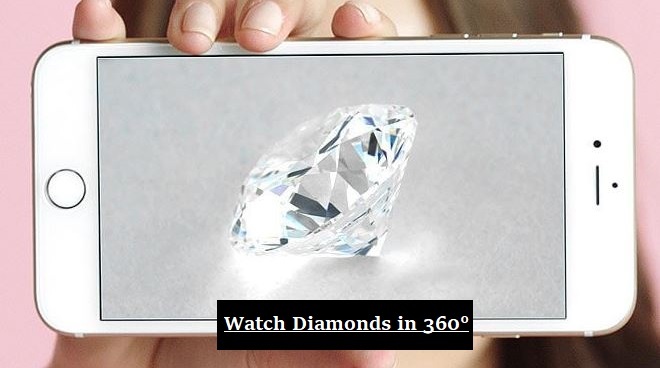 Hint: Use tools like Jame Allen's Video 3D 360 Degree 40X Magnified Technology to compare different diamonds and get sense of what the proportions does to the cut and shape of a diamond. It can especially be helpful in figuring out what might be optimal length to width ratio for you. The chart above serves as a general guideline when evaluating the cut of an oval cut diamond. 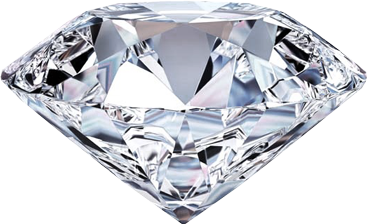 The length to width ratio of 1.50 is considered the classic cut for an oval cut diamond. Every Petra Gems diamond includes precise measurements and length to width ratio, so our customers could make a rational decision when considering an oval cut diamond. Just like evaluating the color in other diamond shapes, color in an oval cut diamond is also subjective. Our experience indicates many buyers prefer the warmer colors over the cool colors. In the color spectrum, the warmer colors refer to G-I diamonds while the cool colors refer to D-F diamonds. The good side to that is the price premium for a lower color grade oval cut diamond would be lower. For more detailed information on the color of an oval cut diamond, use the table below. Choose an oval cut diamond that meets your standards in terms of clarity. Each of our customers has a unique standard for clarity and color. Some of our customers want a flawless diamond with a lot of clarity, while others are perfectly comfortable with a slight inclusion as long as it is not easily noticed. GIA provides excellent help with their clarity grades, so you can use it to choose an oval cut diamond that will meet your standards. The chart below serves as a general guide for you to evaluate clarity in oval diamonds. Be sure to check out our diamond filter to compare actual prices.